Chile’s Cono Sur winery is producing the best line up of $10 wines in the world. And four of them are at the LCBO. I’ve been touting the Pinot Noir for several years – now it’s time to add Merlot, Shiraz and Viognier to your list. 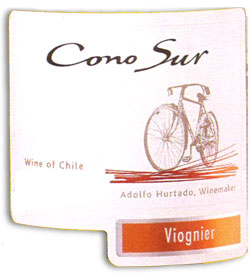 Cono Sur redesigned their labels with the 07 vintage to incorporate the bicycle – a symbol of the winery’s eco-friendly practices. Vineyards are being converted to organic and Cono Sur purchases carbon off-set credits that support renewable energy projects around the world. Peachy and pleasant. An easy drinking wine that fits between the lushness of Chard and the ease of Grigio. Would be a huge hit at parties and with non-regular wine drinkers. Would be ideal for Thanksgiving. Merlot in a lively, go for the gusto type of wine. The usual plummy quality takes a back seat. 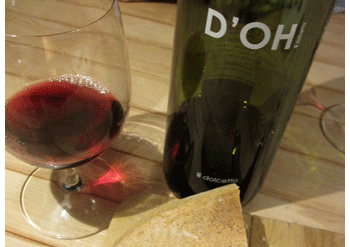 A great everyday red for pizza or burgers. Much richer that the other reds. Tons of fruity, spicy flavours – and fireside warmth. Best on winter nights with a big steak. When the 07 first arrived it was a bit too fruity sweet but it has become more Pinot like – slim with a lively, lighthearted feeling. Refreshing and playful. Lightly chill and party on.